Home > money > What is happening to Bitcoin cash and What you need to Know? What is happening to Bitcoin cash and What you need to Know? Despite a crackdown on the cryptocurrency market by major financial regulators around the world this week, the market for digital coins is rallying Wednesday with newbie bitcoin cash among those leading the pack. 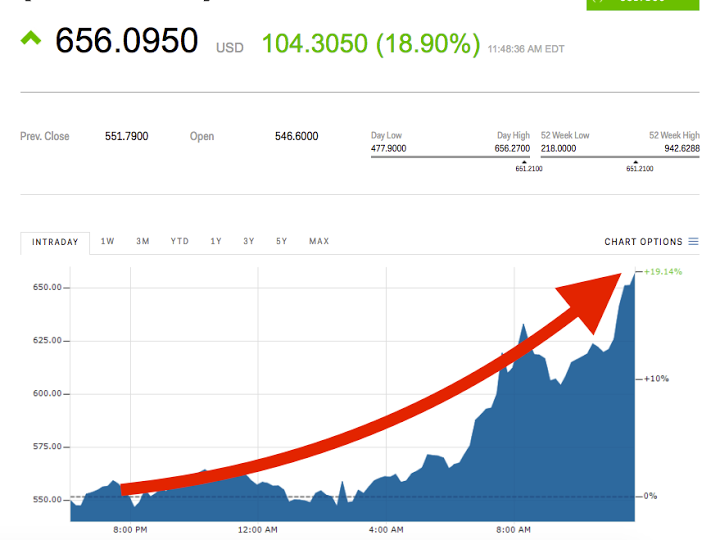 Bitcoin cash, the clone currency of bitcoin, is up over 18% at $651 per coin. Meanwhile, the rest of the top 10 largest cryptocurrencies by market cap are trading higher Wednesday. Bitcoin, for instance, is up 4.7% at $4,651 per coin. The cryptocurrency market was sent into a tailspin Monday after financial regulators from South Korea and China cracked down on initial coin offerings, the red-hot cryptocurrency-based fundraising method. China declared ICOs illegal on Monday and South Korea pledged to "strengthen levels of punishments" for companies looking to raise capital via an ICO. Nearly every single digital currency was down in the aftermath of the news. In total, the market cap of the entire cryptocurrency market declined a whopping 20%. The market for ICOs has grown exponentially in 2017 with more than $1.8 billion having been raised via the method, according to an email from financial technology analytics provider Autonomous NEXT. In the second quarter of the year, ICOs raised three times as much money as venture capital firms, according to CoinDesk's "State of Blockchain" report. "The changes in regulation will take a lot of the bad actors out quickly," Quinn-Watson said. "Excellent result for every founder who has a good product, a sensible and well structure token sale process, and an international outlook."